Glasgow Central MP, Alison Thewliss, has signed up to support this year’s Earth Hour by making a special pledge to help protect the planet. 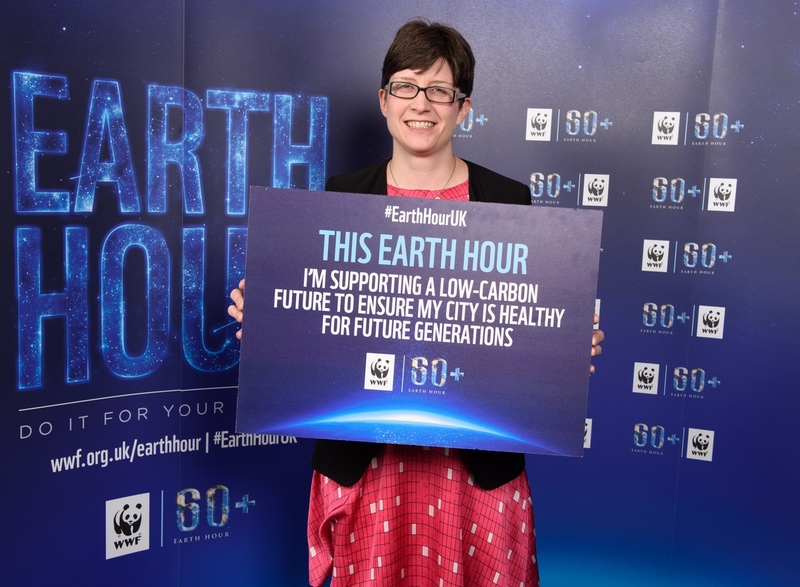 Ms Thewliss was one of many MPs joining WWF in London this week to show they care about the future of our planet, ahead of the global lights out event, due to take place on Saturday 19 March at 8:30pm. Everyone can join the celebration for WWF’s Earth Hour on Saturday 19 March 2016. For more information and to sign up please visit wwf.org.uk/earthhour.